John Mullan, author and Professor of English, on the Alps. GB Why did you choose the Alps? JM Because they’re the thing that gobsmacks me. I remember the first time I saw them. It was from an aeroplane when I was 21. I think it was the first time I’d ever been on a plane. My children have been everywhere and they moan that they’ve never been to Egypt or Peru, but I didn’t go abroad at all until I was 19 and I didn’t go on a plane until I was 21. I remember flying over the Alps and thinking that they looked like a cake, then a few years later seeing them in what I think is the best way, driving from London to Rome with some friends. We drove through the Alps and it was the first time I’d seen proper mountains. I’ve been in love with mountains ever since. I mean, proper mountains, not like the ones in Scotland. Lots of people have spent their time analyzing why human beings love mountains but I don’t know what it is. I like to walk in them rather than climb them. So I chose the Alps because I find them beautiful and I don’t know why, but also because to me, things are only beautiful if they have some kind of human component. That may sound odd but by the time I saw them I’d read lots about them. It’s like the first time you visit New York. You’re seeing something you’ve seen before. You’ve seen it painted and described. Especially for me, the Alps are there in poetry. GB Whose eyes do you see them through the most? JM There’s quite a lot of Wordsworth, a bit of Shelley, a little bit of DH Lawrence. The Alps were already culturally formed and shaped to me and that’s why they can be beautiful. I don’t think anything can be beautiful to me if it doesn’t get percolated through the shaping power of human imagination. GB Are there also physical signs that make them feel European to you – or different from other mountain ranges? JM I’ve walked in the Alps in the summer and skied in the Alps in the winter. To 18th and 19th century travellers there were overwhelming and terrifying and sublime, but to me the peculiarity of the Alps is that they’re pastoral peaks. All that Sound of Music stuff is actually true. There are all these meadows and cows. You drive up a road to where it ends and start walking through meadows with these icing sugar peaks above you. GB So you’re swinging between Wordsworth and Doh a Deer! JM Yes and it’s sensual too because if you go in the summer it smells fantastic. One of the things I hadn’t realize about mountains, which wouldn’t have mattered to Wordsworth as much as it matters to us, is you go up into them and it’s completely quiet. When I first went skiing I couldn’t believe that you go up these lifts and at the top it’s totally silent. GB Your love for Jane Austen is so much about minutiae and yet you’ve chosen this enormous mountain range! I would have imagined you’d choose a rare wild flower on the side of a mountain. JM Well I know that a lot of people have chosen little objects and I thought about choosing a painting because beauty is a work I associate with paintings and sculptures, but in a way that would be slightly disingenuous. There’s a Turner painting I find incredibly beautiful but how often do I actually see that? I’ve probably seen it in reality twice in my life. GB Which one is it? JM It’s at Pepworth. It’s one of those glowing landscapes where there’s so much light in it that you can hardly see anything. GB So you’ve gone from the picturesque to the sublime? JM I wouldn’t say the Alps are sublime. I’d say the Dolomites are sublime. They’re on the South side of the Alps. They’re really part of the same mountain chain but they’re so different. They’re like columns that go straight up and they’re scary. They don’t look as if you can walk up them. They’re wonderful but not beautiful. I lived in Munich for a few months and you can see the Alps in the background. 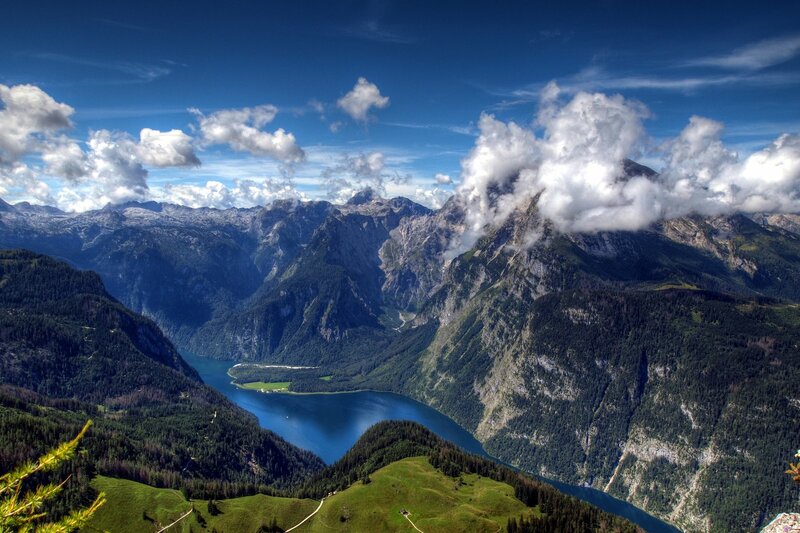 You can drive there in an hour and the Bavarian Alps are beautiful because there are lakes. A lake in mountains is a very beautiful thing. GB What’s your favourite work of literature associated with the Alps? JM Wordsworth’s Prelude. The Prelude is very weird because although it has some fantastic descriptive passages about mountains, the passage about the Alps that’s really wonderful is about what a let-down they are. It’s very characteristic of Wordsworth. Just as you think you know what he’s going to give you, he gives you something that you didn’t expect. He walks across the Alps with a friend, on a walking tour as a student. It’s a brilliant idea for the long vacation from Cambridge, to go walking in the Alps. He describes this part of the walk when they meet some travellers. Wordsworth asks which path they should take to cross over into Italy and they tell him that they’ve already crossed. He hasn’t noticed and he expected some amazing crest. The Alps are like that because there are these saddles between the peaks so you get to the top of a crest and go, “WOW!” You suddenly see for 50 miles and there’s Mont Blanc or the Matterhorn or some incredible view. So Wordsworth has walked all the way across France expecting this epiphany and he hasn’t got it. He’s already walking downhill into Italy. It sends him off on a recollection, an apostrophe to the imagination about how he realizes that the excitements of the imagination are greater than he’s going to get just seeing anything. GB Tell me how the experience of this kind of beauty differs from the beauty you find in a work of literature. JM When I read a work of literature I enjoy it the most when I can see how it’s been put together. To me, the very best literature is always carefully formed. You can’t just splurge it out, even if you’re a genius. Maybe Shakespeare and Jane Austen weren’t entirely conscious of what they were doing but they were still doing it. So when I read literature I can’t separate the pleasure of seeing how it’s done. Even when I read a Keats poem, it might thrum with what appears to be the spontaneous passion of the moment but actually it’s not. It’s got some incredible rhyme scheme and the intricacy of that design is always part of the pleasure for me. GB So when you look at the Alps it’s freer in a way? JM Well it’s also a physical thing. It overwhelms you. JM I’m not sure I’ve got one universal description. I don’t think that saying the Alps are beautiful and saying a poem by John Donne is beautiful are the same. For something that human beings have created, I have a rather starry-eyed view of beauty, which is that it’s an intimation of something better than ourselves. I think that, generally speaking, beautiful things are made by people with some special gift. GB Do you think we can make anything that’s as beautiful as the Alps? JM It’s different. A Turner painting of the Alps is beautiful and true to the beauty of what he sees. GB You used the word gobsmacked. Is that a part of beauty for you? JM Not necessarily. I like beauty that’s very manicured, like 18th century landscape gardens. GB So when it comes to the Alps, what is it that makes them worthy of the word beauty? JM I think it’s connected to what I said about things that are made by people. It’s something bigger than ourselves. Something pristine. It’s so elemental that I don’t think anybody’s ever been able to explain it. People haven’t always thought mountains were beautiful. I’m not sure Dr Johnson thought mountains were beautiful. I think he thought they were a waste of space because human beings couldn’t cultivate them. It’s not necessarily a natural thing to find them beautiful. GB So you think we all see them through romantic eyes? JM Definitely. Those are our eyes.